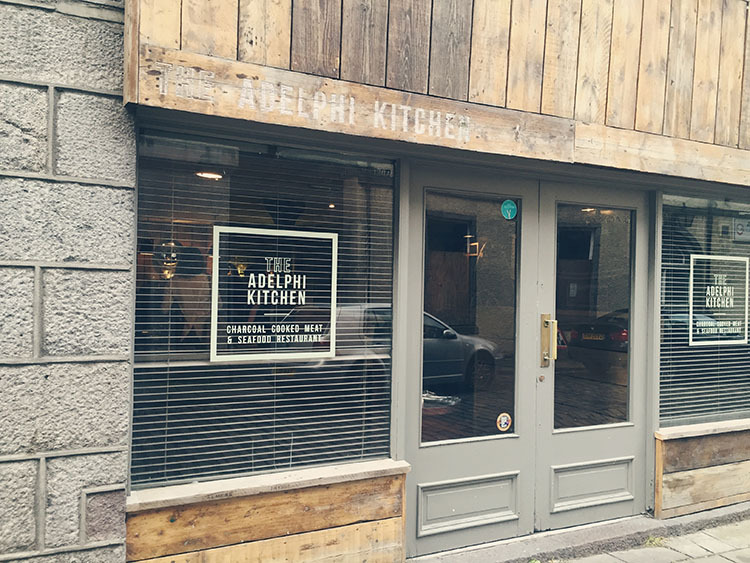 Recently the Aberdeen bloggers and I were invited along to try the new Spring/Summer menu at Adelphi Kitchen. 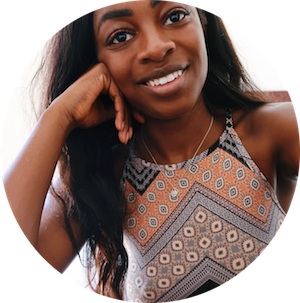 If you’re a regular reader of my blog you know how I feel about food, so to say I was excited would be a vast understatement. Adelphi Kitchen is one of those places I’d always heard a lot about. I vowed to visit myself, but being put off by the price I never did. Tucked away down Adelphi lane the restaurant was hidden away from the main streets. It struck me as a kind of hidden treasure trove only to be found by those who knew they were looking for it in the first place. I can tell you now – it’s worth the hunt. We were lucky enough to have the entire restaurant to ourselves. 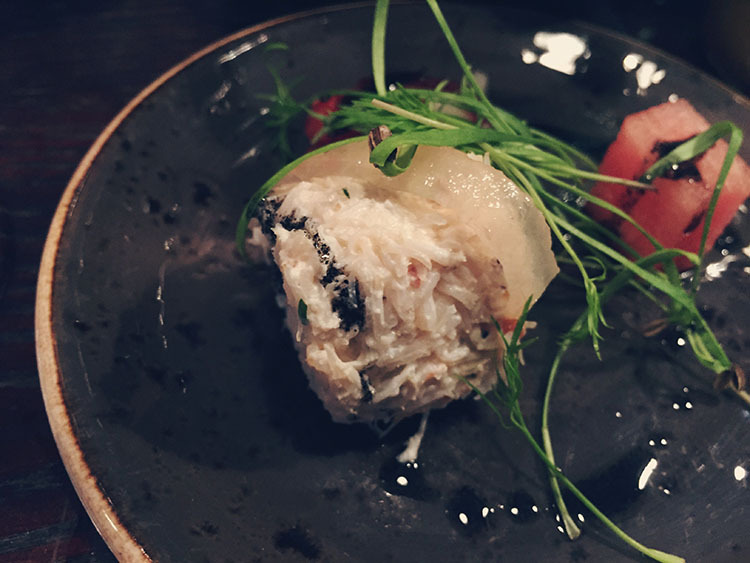 This meant in addition to talks led by the Head Chef, Murray Dawson, and Owner, Chris Tonner, we were also treated to a sneak peek inside the kitchen. The whole kitchen had been remodeled following an accident and the small space utilised extremely well for maximum efficiency. I was expecting to be shown a few key pieces from the new menu, but what we received was far better than I could have ever imagined. In total, I think we were shown fourteen different dishes from the new menu. The dishes ranged from vegetarian to fresh fish and hearty meat dishes to intricately detailed desserts. I wish I could do these dishes justice with words, but I am certain the pictures speak for themselves. 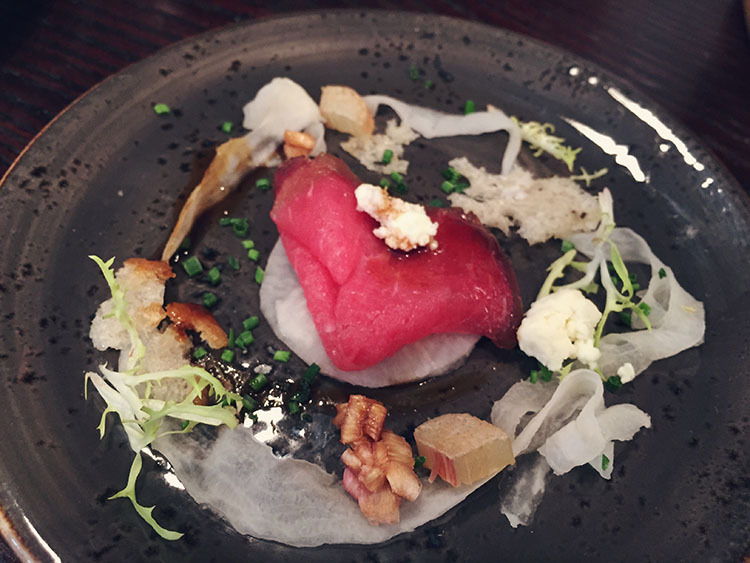 Sugar Cured and Smoked Beef Fillet Carpaccio. 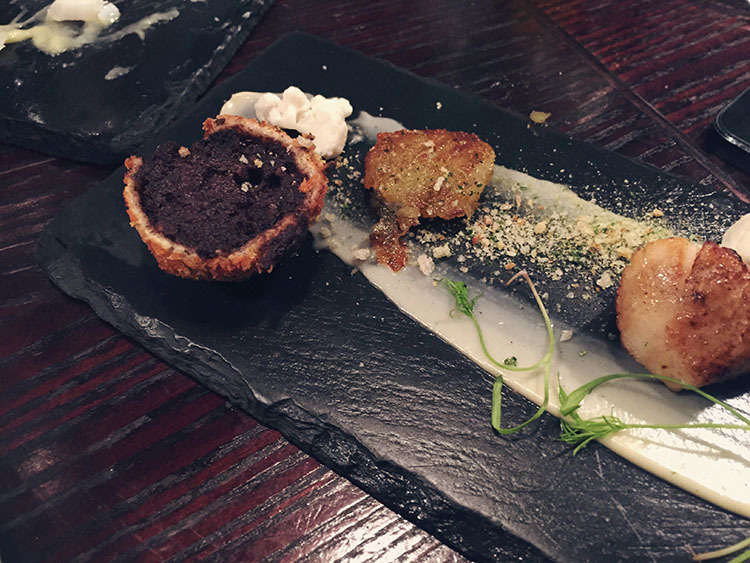 King Scallops with Haggis Bon Bons. 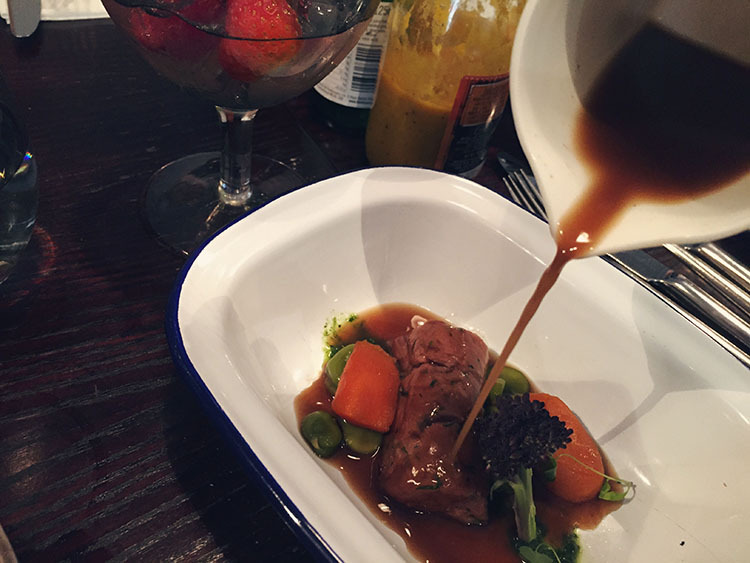 New Season Lamb with Vegetable Spring Broth. 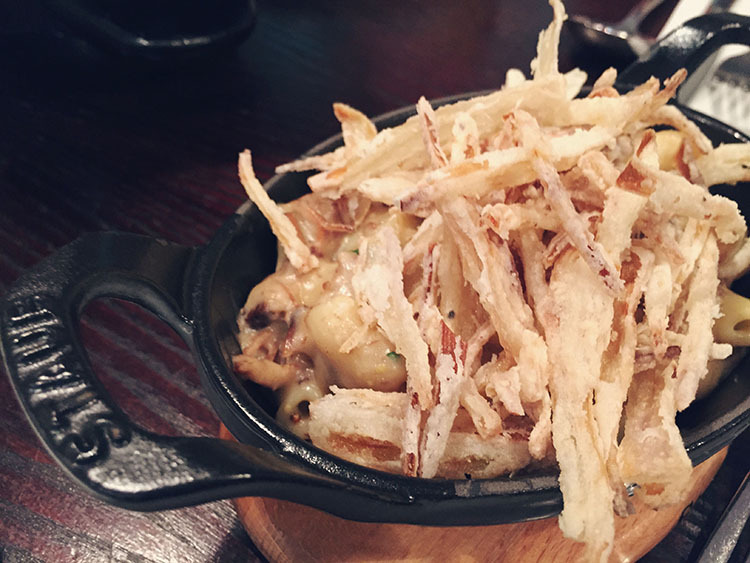 Beef Rib Mac ‘n’ Cheese. 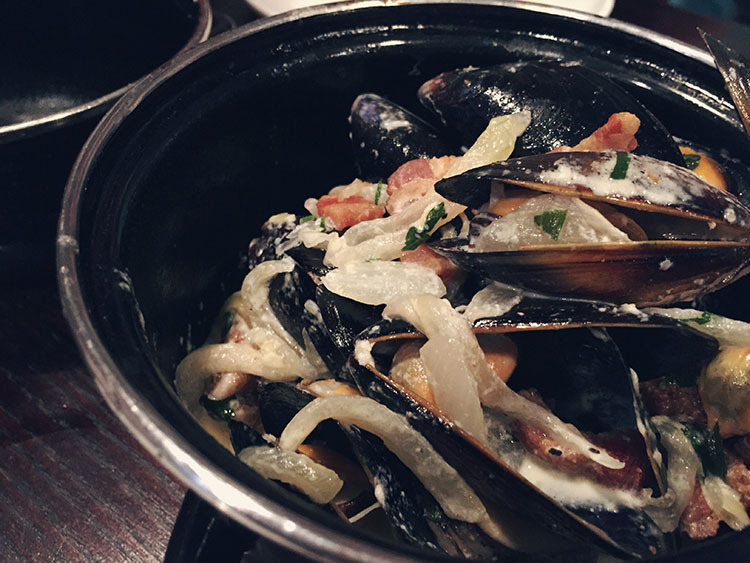 Mussels in White Wine Sauce. 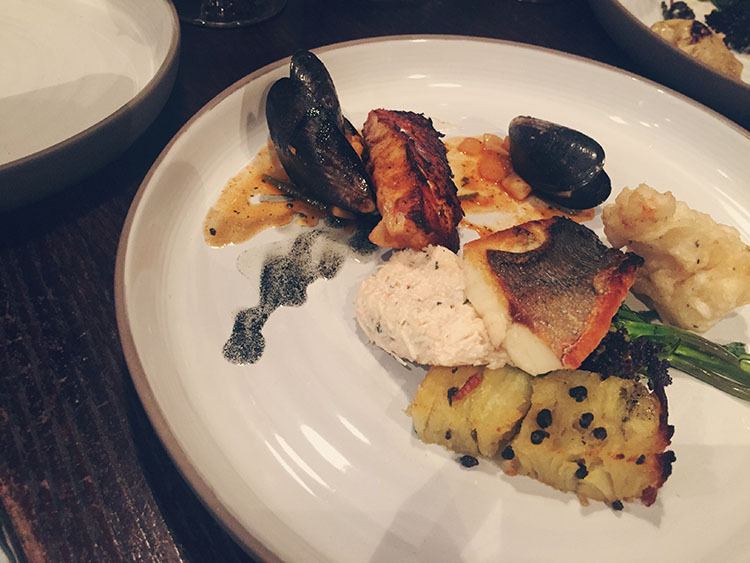 Mussels, North Sea Halibut and Crispy Seabass Fillet. 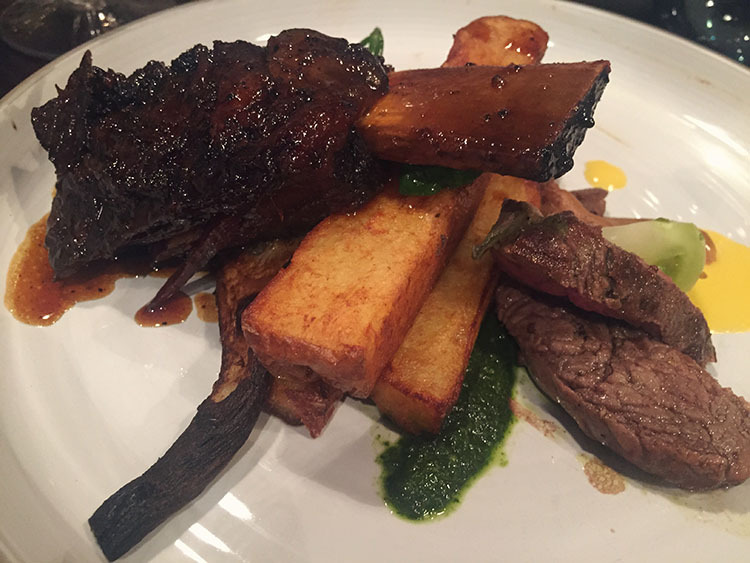 Charcoal Cooked Aged Ribeye & Salt and Pepper Beef Short Rib. 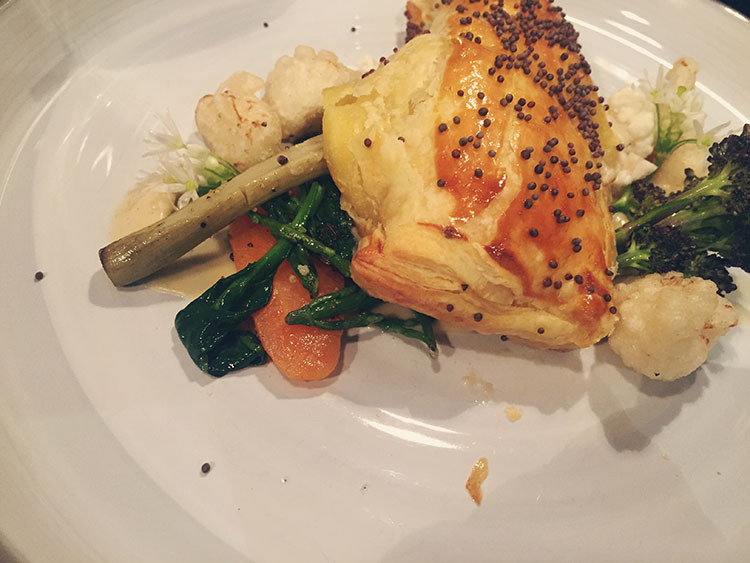 Cheese and Mustard Puff Pastry Roll. 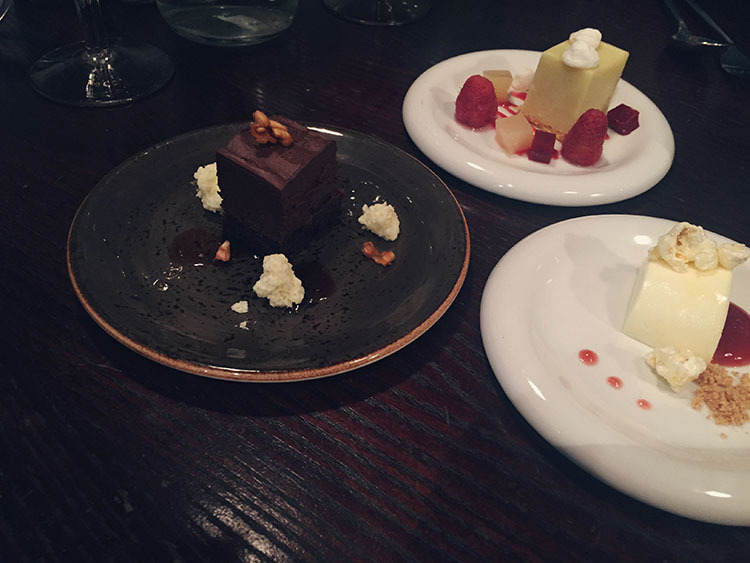 Trio of desserts: Chocolate Mousse Cake, Popcorn Panna Cotta & Lemon Meringue Pie. The predecessor to Adelphi Kitchen, La Stella inspired many of the flavours in the dishes and Chris spoke fondly of mixing the old and new. Murray also spoke with great passion of how he was proud to have constructed the new menu with little external input. It was both refreshing and inspiring to hear from both who were clearly incredibly passionate about what they do. Having actually experienced the restaurant first hand I have to say, though it is on the pricier side you do get what you pay for, and then some. The food is fresh and the staff are well mannered and attentive. From the moment you step in the door, you can’t help but notice the attention to detail be it through the interior or food design. I left Adelphi Kitchen that evening feeling suitably stuffed. As I walked (waddled) out the door I knew without a shadow of a doubt that this little place down the alleyway would not be forgotten by me any time soon. What about you guys? 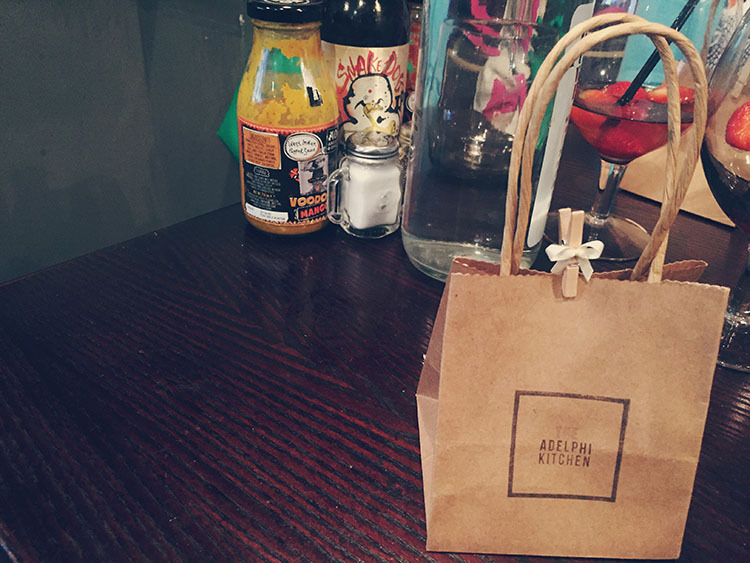 Have you ever been to Adelphi Kitchen? 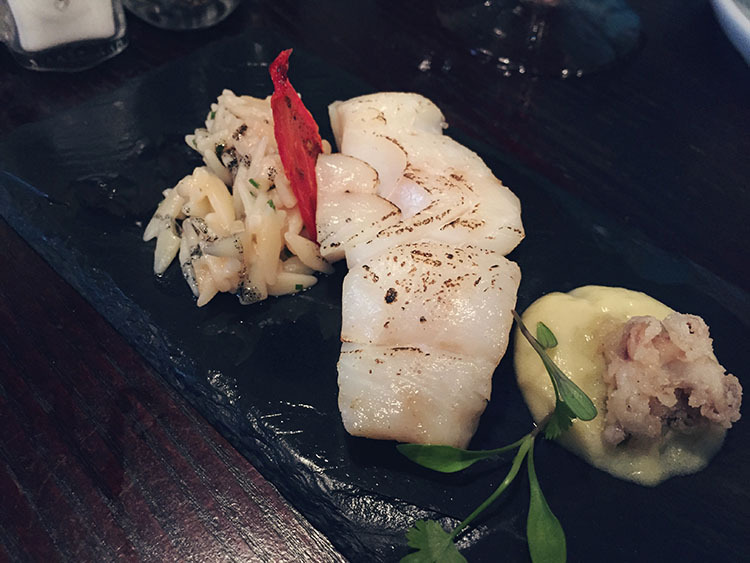 What are your ‘hidden treasure’ restaurants? Let me know!